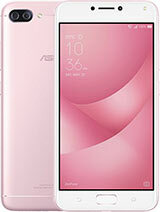 Well, it definitely has nice specs but for me, I can't even feel that the phone has those specs. I am an owner since october and up until now, I can't even see that the phone is worth its price. Poor battery life, can't properly connect to mobile data, and devastatingly poor camera. I love installing games and taking photographs that is why I am so much disappointed. The phone can't even last 5 hours of continuous surfing with mobile data.I regretted the day I chose to own this mid range phone. I should have chose to buy a Realme C1 or even a pre-loved iphone 5s. Maybe those phones are much worthier than this crappy device. 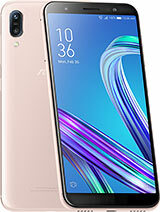 Abin, 03 Feb 2019Using this phone for last 4 months... honestly..saying.. totally fed up with device.I bought t... moreUhhm..I think you're in the wrong comment section bruh. You're talking about the Pro version of the M1, this is the vanilla version. This only has 4000mah. Rio, 19 Dec 2018Anyone having issue with double tap feature in this phone?, When i turn off my phone with doub... moreMine worked fine. Angel, 17 Nov 2018Can everyone tell me if they're satisfied with this phone? Performance, Battery, Heating issue... moreI can't recommend this phone with it's camera. But if you're into gaming then it's a go to. Ilham Dwi, 13 Oct 2018I bought this and used it about a week. My country origin is Indonesia and got this Snapdragon... moreAgree..camera is so bad when going for night photography. Image to is too noisy and quality is very muddy. Gammaray, 13 Oct 2018Listen up, Fanboy. It's not just me. Look at reviews. Look at Asus' own forums. Do some search... moreI think it depends on your location..if you think other phones work well for you, then I suggest you use that. Don't blame the product for your issues. Because other users may not have the same experiences like yours when it comes to using this product. Just sayin'. 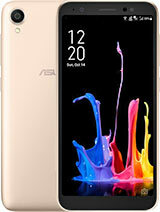 Abin, 03 Feb 2019Using this phone for last 4 months... honestly..saying.. totally fed up with device.I bought t... moreIs that M1? I didn't know they have 5k mAh. Mine is just 4k but its working pretty fine. I bought it for gaming as well but it doesn't take me 7 hrs to charge the phone. 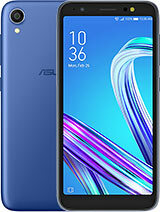 You also have to consider the fact that its not a fast charging phone since it has a large battery mAh, asus wants to prolong the life of the battery. I charge my phone every night because my phone can last for a day, so I don't really know how long it takes to fully charge. When I do forgot to charge my phone at night, the 40% battery can still last as long as I turn on the battery saving mode and lower the brightness. And when I charge it for a few min it gets a decent amount of battery that can last long time. Also, maybe your graphics while playing pubg is too high, and maybe you are playing it in high volume without the earphones. Just maybe. But I really don't think there is an M1 with 5k mAh. Rio, 19 Dec 2018Anyone having issue with double tap feature in this phone?, When i turn off my phone with doub... moreI didn't enable the double tap to lock the phone but I did enable the double tap to wake it up. Sometimes it does not respond at once. But it didn't really bother me for a long time. I noticed that when its laying down and it didn't respond to the double tap I hold it up and double tap to wake it up and it works. Its almost 3 months since I bought this phone. I'm still pretty okay with it. There are ups and downs, but I got this for a cheap price since M2 was released recently. 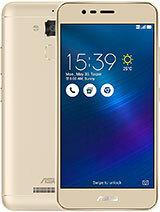 The ups of this phone is its cheaper because of M2. Battery life of my phone can last for a day. I don't use my phone all day, because I do eat, sleep, watch netflix on laptop... I do stuff other than use my phone. The downs, its not a really popular phone to have a tempered glass for it. In my place, it doesn't have a temper glass for M1. When you found one with the same size, the corner of the temper glass doesn't stick cus thd phone is kinda curved on the sides. The port for charging is upside down. The free earphones sounds bad. Doesn't really have a good touch response. When you check the files its kinda confusing. Taking videos is unstable..... There's actually a lot of downs. But I bought this phone for its specs considering its price. I didn't need it to be really good or else I would be buying something more expensive and better than this. Its pretty good imo and its working pretty well. If there are phones that are better than this, okay. But I won't care because this phone is working fine. Since there's been a lot of bad reviews about this phone, which I'm not having, then my tip for those wanting a phone. Do your research. Know what specs you really NEED. The specs you want it the last thing you need to check. Look for phones with all the specs you need, then eliminate the phones that doesn't have the specs you want. Then just compare which ones you like from all the research you've done. Just do your research. If you find this M1 crappy, that's because you didn't do you research right. Using this phone for last 4 months... honestly..saying.. totally fed up with device.I bought this device because of its 5000mah battery.but the only use of this massive battery is to increase the weight of the phone.I play a lot of games, that's why i seek for better battery life.but the battery is draining like hell.and sometimes the phone will take about 7-8 hours to get fully charged. I contacted the service centre and they serviced the phone 3 times within this 4 months. 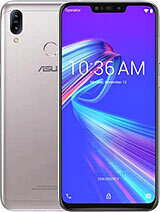 During the 1st week the battery backup was excellent and i got a backup of 2days.But the problem began after an update.the Asus people is not even trying to fix the issue. The phone consumes around 14%-17% of battery on playing one round of pubg,while my friend's redmi note 5 pro with 4000mah battery consumes only about 8%-10% of battery. I bought this device only for gaming.but now i realise that was a foolish decession choosing this device.Another drawback is the camera.The front camera is the worst among the segment..
Having the 5000mah, i need to charge the phone for 2 times in one day. So if you are planning to buy this device, think twice. Anyone having issue with double tap feature in this phone?, When i turn off my phone with double tap it always works but when i double tap to wake up sometimes doesn't work. 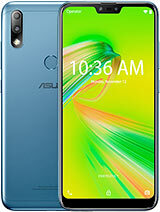 - Indian with SD430, 32GB and 3GB RAM, but without dual camera (listed as ZB556KL). I bought the International from Amazon and I intend to use it for many years. 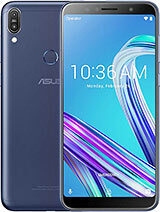 Its main rival was Honor 9 Lite (ASUS won by having bigger battery and wide angle camera). 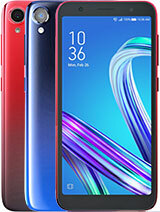 Can everyone tell me if they're satisfied with this phone? Performance, Battery, Heating issues, Build Quality, Display? 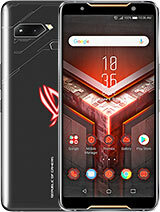 I'm looking for a phone in this price range to use for at least 2 years, that can also handle games like PUBG. 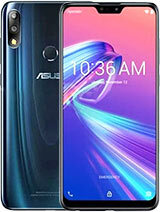 I know that Asus is pretty good in general. 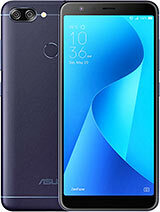 Total of 109 user reviews and opinions for Asus Zenfone Max (M1) ZB555KL.